The Generals battle the Barrie Colts tonight in the last game of the weekend at the Tribute Communities Centre. 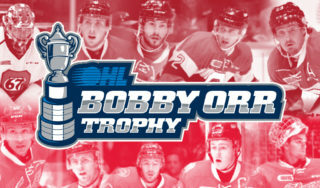 After recording two clutch victories in a shootout and overtime against the Bulldogs and Otters respectively, the Gens enter the contest with a 32-18-3-0 record on the season. 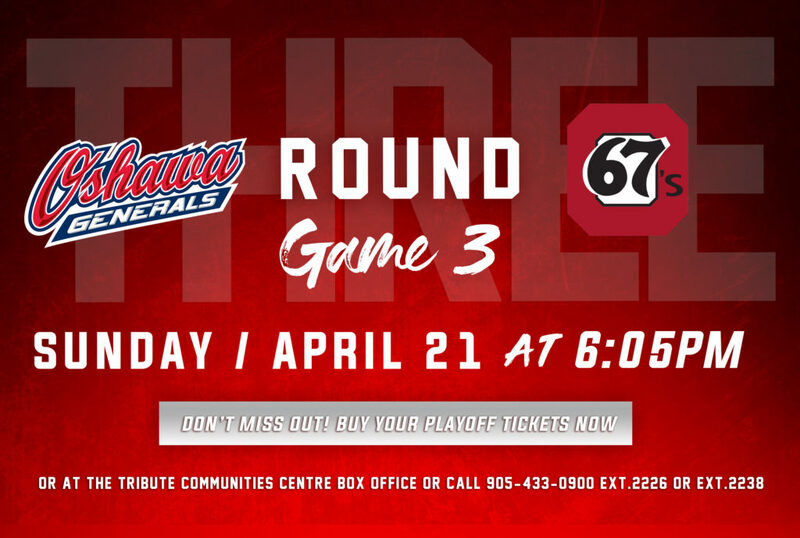 Looking to complete the weekend sweep, the Gens will aim for their third win in a row tonight. Tonight’s game marks the fourth time the Gens will meet with the Barrie Colts this season. 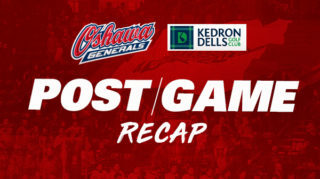 Oshawa has gone undefeated in the season series so far, grabbing three straight wins against the fellow eastern conference club including a big 4-0 victory the first time the two teams met in November. 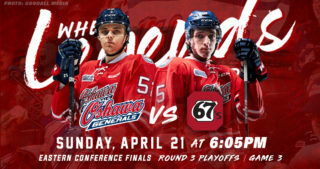 In the final game between the Gens and Colts this season, Oshawa will try to finish the season sweep with a two-point performance at home tonight. 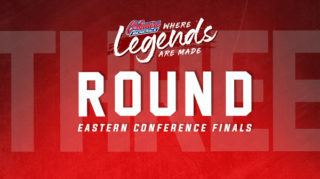 With the two clutch wins so far this weekend, the Gens sit at 67 points in 53 games on the season, holding second in their division behind the 67’s and claiming fourth place in the conference. Meanwhile, the Barrie Colts find themselves near the bottom of the eastern conference, sitting in ninth place in front of only the Frontenacs. 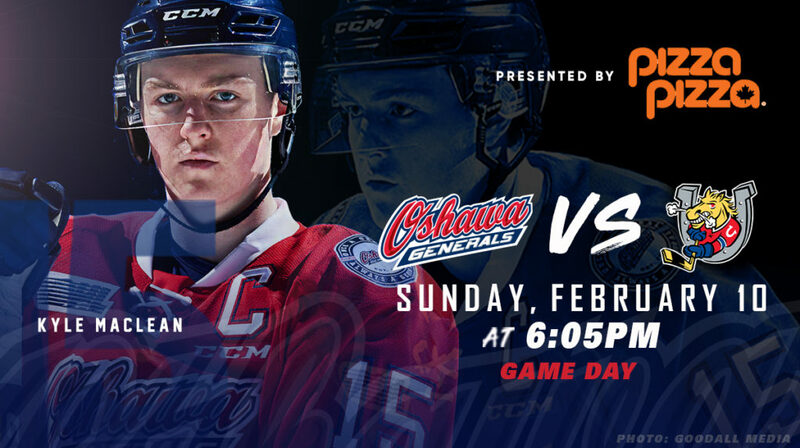 With Oshawa picking up points in their past five games to remain close to the top of the east, the team will look to grab another two against the Colts and extend their streak. 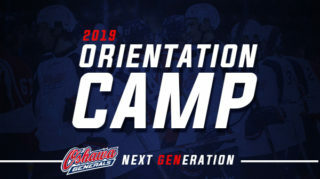 A couple of Gens players coming off big performances in the team’s 4-3 overtime win on the road over the Erie Otters are Allan McShane and Serron Noel. McShane was the hero of the night as he was the one to pot the overtime winner that sealed the win for the Gens. Along with the game-winner, the forward added two assists for a big night offensively. Noel also found the scoresheet multiple times, as the winger notched a goal of his own and tallied two assists for a three-point night. Look for McShane and Noel to enter tonight’s game with momentum and continue to be key contributors up front. Come join us at the Tribute Communities Centre tonight for a 6:05pm puck drop to cheer on the Gens as they battle the Barrie Colts! After tonight, the team will go on to play in a big game on Wednesday night at home against the Peterborough Petes for Rivalry Night!